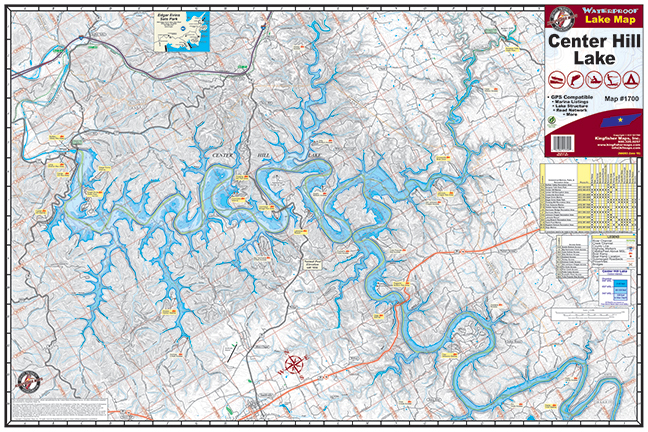 Center Hill Lake #1700 – Kingfisher Maps, Inc.
24″x36″ One-sided. Scale 1:35,000 Lake Structure. Waterproof and Tear Resistant! Center Hill Lake 24″x36″ One-sided. Scale 1:35,000 Lake Structure. Waterproof and Tear Resistant! 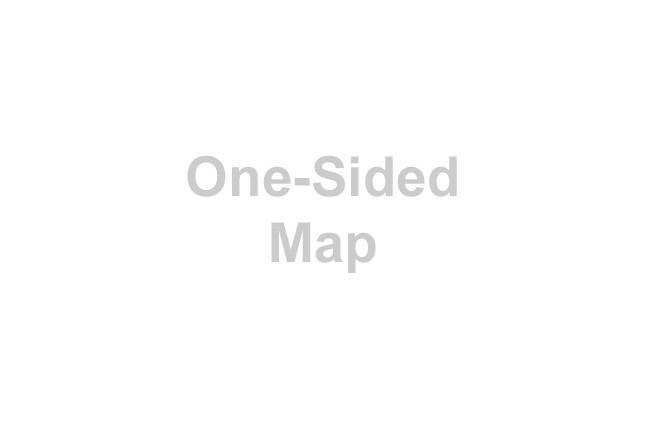 GPS Compatible, Marina Listings, Lake Structure, and Road Network. Center Hill Lake is located in middle Tennessee in the Cumberland Mountains nestled among beautiful rolling hills. Counties surrounding the lake include Smith, Putnam, DeKalb, Warren and White Counties. The major tributaries flowing into Center Hill Lake are the Caney Fork River, Collins River, Rocky River, and the Falling Water. Center Hill lake was constructed by the U.S. Army Corps of Engineers in 1949 and was built as a multi-purpose project for development of water resources including electricity production and flood control. Center Hill Dam was completed in 1948 and is 260 feet high. It is constructed with a combination of concrete and earth structures containing eight gates, each being 50 ft. wide. Extending 64 miles upstream and covering an area of 18,220 square acres, Center Hill Lake has a storage capacity of 762,000 acre feet of water. The lake has aproximately 415 miles of shoreline, with a maximum depth of 190 feet. The water shed area for the lake is 2,174 square miles. Visibility in the lake ranges from 3.5 feet to 6 feet in the summer months. The TWRA and local anglers have placed many fish attractors and brush piles throughout the lake, which adds to making Center Hill Lake an excellent lake for fishing. Abundant in the lake are smallmouth bass, largemouth bass, striped bass (white bass), catfish, bluegill, and walleye. The lake also offers brown trout, rainbow trout, paddlefish, spotted bass, and three types of crappie. The Tennessee state record spotted bass was caught here in 1989 weighing 5 lbs. 8 oz.